1st Floor - Expect our DJ's playing ALL the Queen anthems mixed with the biggest songs from other iconic artists from the same era plus the very best power ballad sing-along's you could ever dream of! Basement - Expect a totally awesome night jam-packed with all the songs you love to sing when alone in your car! 90's pop, hip hop, indie tunes all mixed together for an amazing Sing-Along experience! 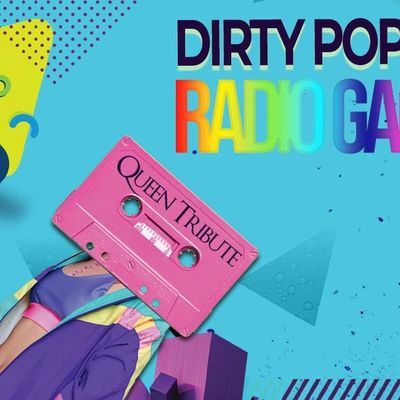 Dirty POP have transformed Dtwo into a nostalgic venue full of fun, props and hilarious freebies. Throughout the night expect to be handed Disco POP freebies such as 90's giant sunglasses, glow sticks, hats & more. And don't get too excited when we drop some C02 Guns & Confetti Cannons! Guestlist passes are always available at our eventbrite page and you can also book in parties for complimentary champagne, guestlist & reserved tables please facebook message us!